The original Walnut Tablet-back Side Chairs sit in the Parlor of Thomas Jefferson's Monticello home. They were constructed by an unidentified Virginia-based craftsman, ca. 1815, using patterns derived from the Grecian klismos chair. The concave tablet back support and the sabre-shaped rear leg are typical of this style. Typical Virginian elements include the use of native walnut and the inclusion of rectilinear stretchers for strength. All of our licensed pieces are custom commissions, handcrafted in our boutique studio. 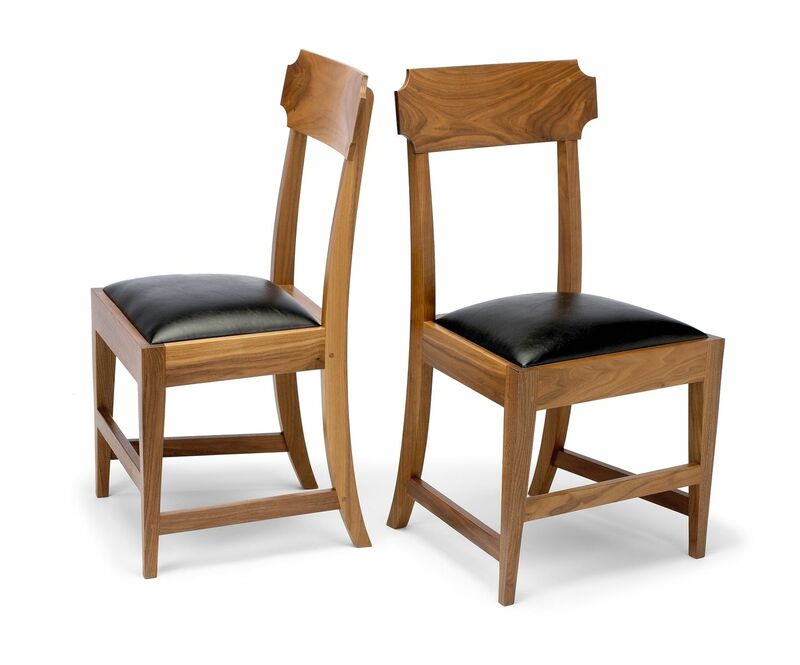 The Monticello Tablet-Back Side Chair® is part of our licensed Monticello furniture collection and are priced per chair.